Photo with words. 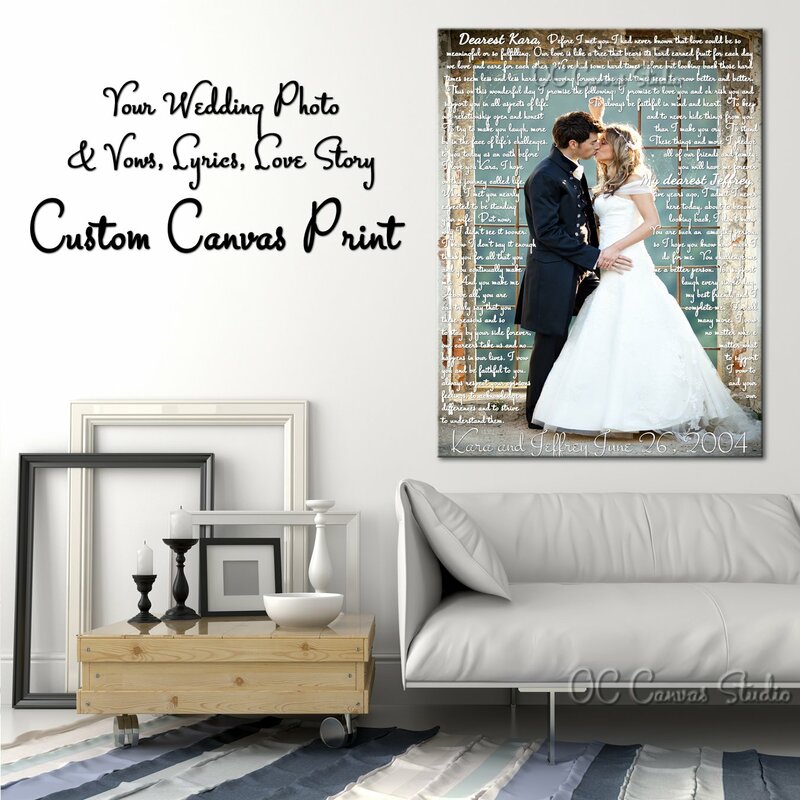 Your wedding photo, lyrics, vows, poem. 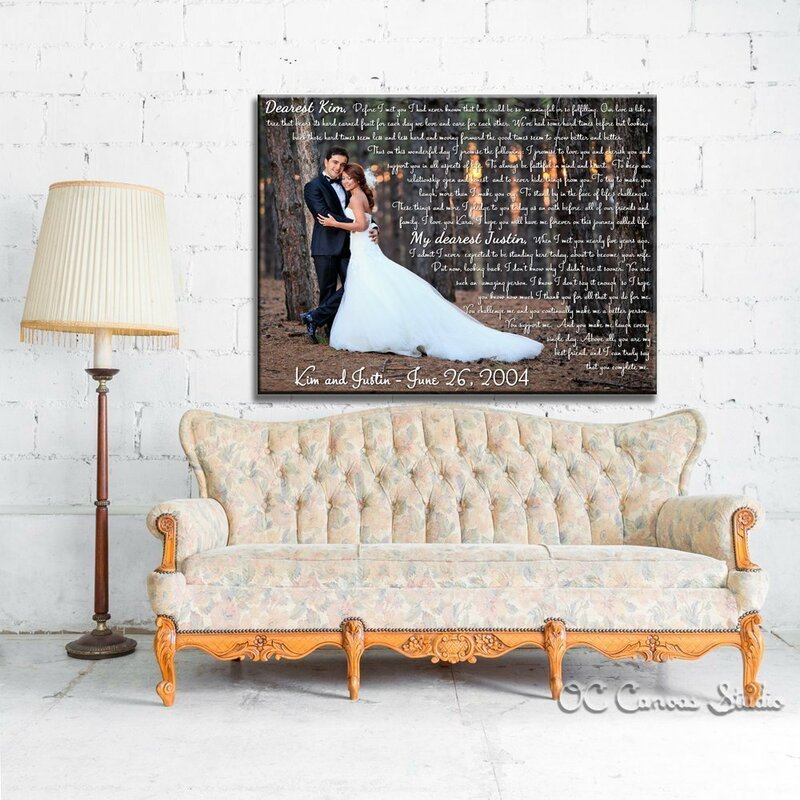 – your text(Wedding Song, Lyrics, Vows … any Words/Text). – select your font style number (see photo #5). Please send us your Photo (quality photo, at least, 300dpi), Name and if you would like us to do any of the optional effects or complimentary photo retouching let us know. 4. 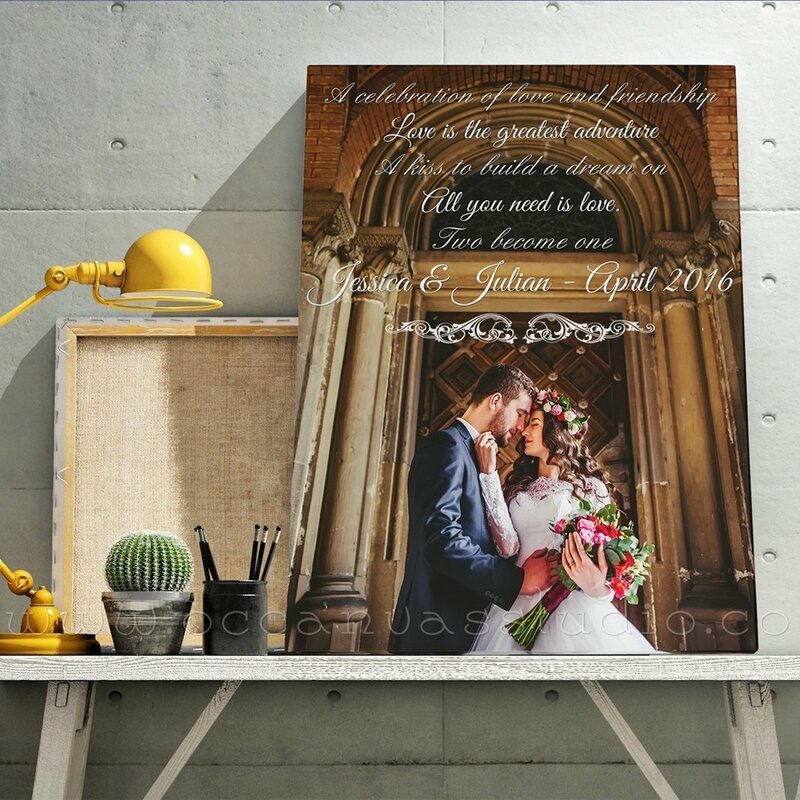 We will create a proof /preview for your canvas order within 2-3 days. 5. 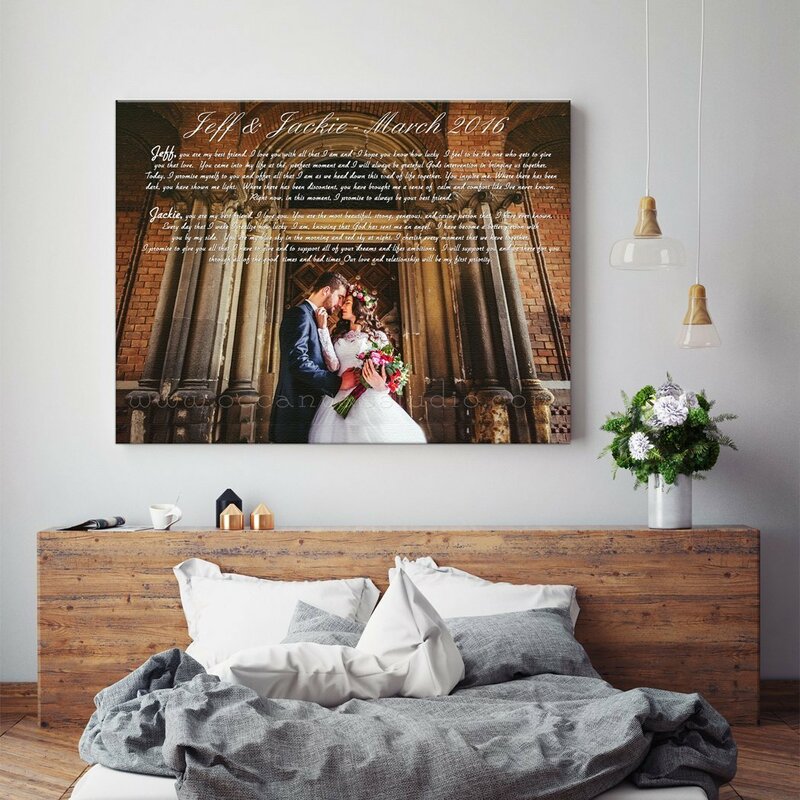 Once you have approved the proof/preview, we will print on canvas your piece of art, we will stretch it on a wood frame and ship it to the address provided during checkout. If you would like to get your Proof/Preview in Less than 24 hours? Please contact us for a Rush Order.